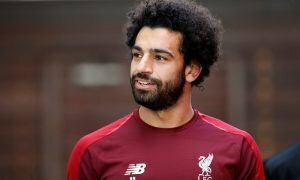 Liverpool and Man United prepare £15m bids for Premier League star | The Transfer Tavern | Where football transfer rumours fly or die! A brawl has emerged at the Transfer Tavern this afternoon after Manchester United and Liverpool fans came to blows due to an argument regarding a shared transfer target. The Sun states Liverpool and Manchester United are preparing £15m bids to try and land Stoke City’s impressive forward Bojan Krkic, who is also a target for struggling Chelsea. Former Barcelona, AC Milan and Roma man Bojan has finally found his feet at the top level, becoming a crucial part of Mark Hughes’ side in Staffordshire. 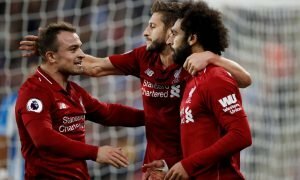 The 25-year-old’s performances have not gone unnoticed though and the two Champions League chasing clubs will try to persuade Stoke into a sale next month. Stoke paid just £800k for Bojan and a profit of £14.2m would be hard for a club of Stoke’s stature to resist, with it clear that the Potters landed a bargain when they brought the Spaniard to English football in 2014. There is also interest from abroad, with Gary Neville’s Valencia looking to bring the player back to Spanish football. A stay in the Premier League is the most likely scenario though and Stoke will face an immense battle to keep hold of their prized asset. Will Bojan join one of the Premier League’s big boys? Let us know in the comments below!